Elegant folds, gorgeous prints, and a huge choice of colours and textures make them our curtains integral part of any interior. Hundreds of gorgeous fabrics to choose from. We’ll bring them all for you to browse during your in-home appointment. 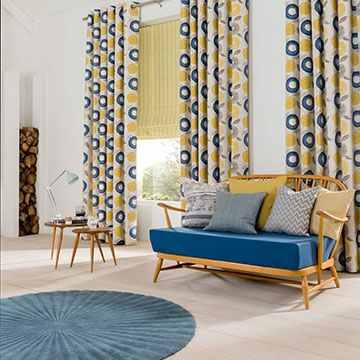 Get creative with gorgeous patterned curtains from our range, and transform your interior into a stunning space that’s packed with personality and designer flair. Choose from hundreds of beautiful designs and colours to suit any room or décor style. Patterned curtains can transform a simple interior into a stunning designer space in an instant. Pick out patterns that will complement the style of your furnishings, and make sure that at least one of the accent colours in your patterned curtains carries through to the rest of your design scheme. And remember, a large pattern can make a room look smaller, so pick a smaller pattern repeat if you want to create the illusion of space. 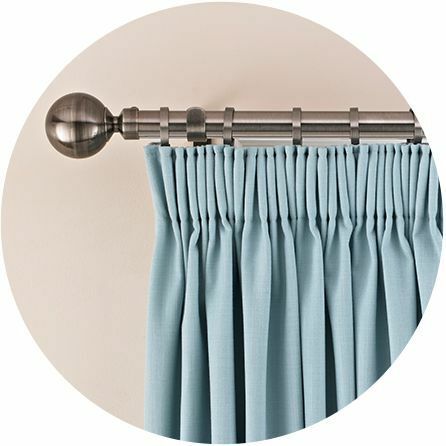 Your advisor can help you choose the perfect patterned curtains for your home. With our clever visualisation tool we can show you exactly what each fabric would look like at your window, so don’t be afraid to experiment with bold choices. 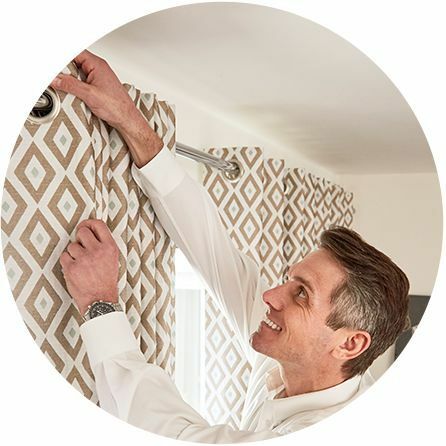 And once you’ve found your favourite fabric from our extensive curtains range, we’ll measure your windows and professionally fit your statement curtains for a gorgeous finish.